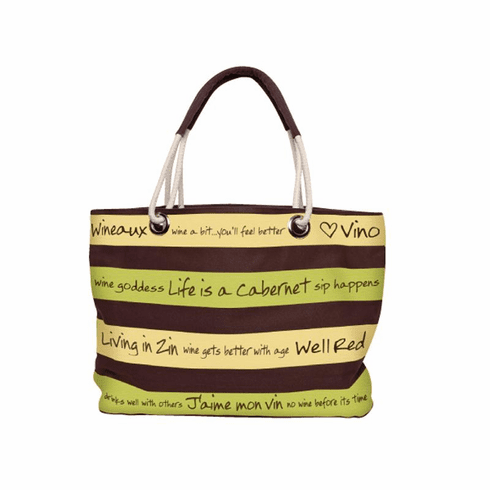 This beautiful canvas shoulder bag features witty wine sayings printed in a stripe formation. It has a double rope handle and vibrant cream and spring green colors. It is perfect for toting souvenirs and bottles of wine.